IPBaseT Zero Compression/Latency Technology - Schedule a Demo! - Aurora Multimedia Corp.
IPBaseT Zero Compression/Latency Technology - Schedule a Demo! 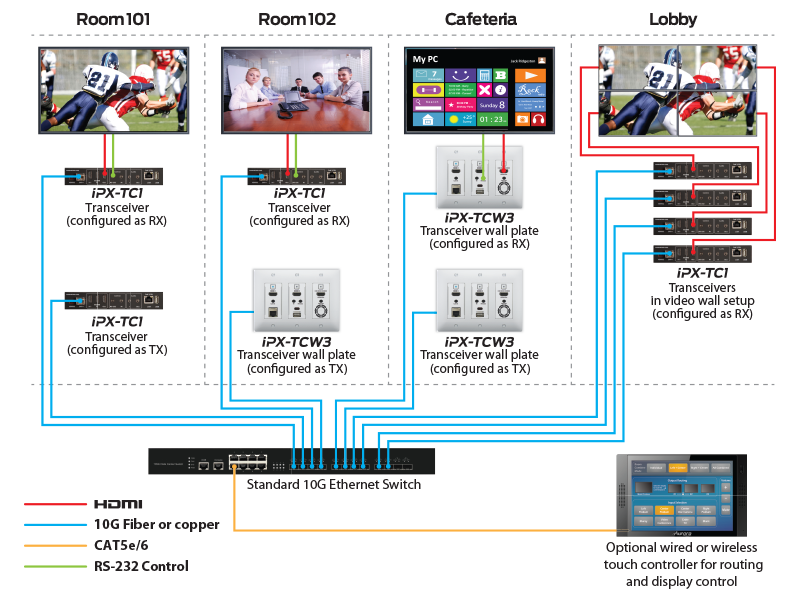 IPBaseT Zero Compression/Latency Technology – Schedule a Demo! IN THIS ISSUE: IPBaseT – IPX Series Transceivers – Schedule a Demo! What is IPBaseT? Aurora’s IPBaseT™ technology combines 4K uncompressed video with zero-latency seamless switching, video wall and multiviewer modes, digital audio, USB 2.0, Ethernet, and control. Utilizing the bandwidth of a standard 10G copper or fiber network, IPBaseT supports a large, seamless UHD video and audio matrix, and it does so while replacing multiple technologies and products with a single-box distributed platform. The days of needing a separate AV switcher, control system, video-wall processor, audio/DSP converter, and more are a thing of the past!